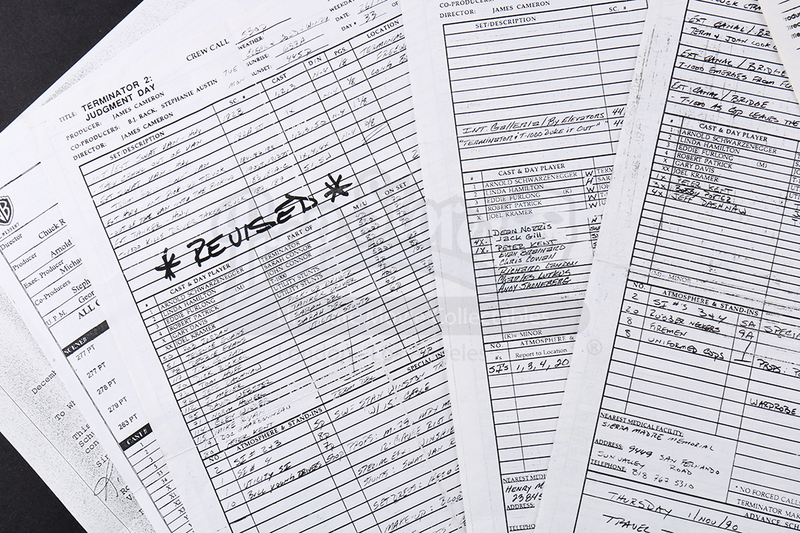 A collection of stuntman and actor Peter Kent's call sheets from various films. 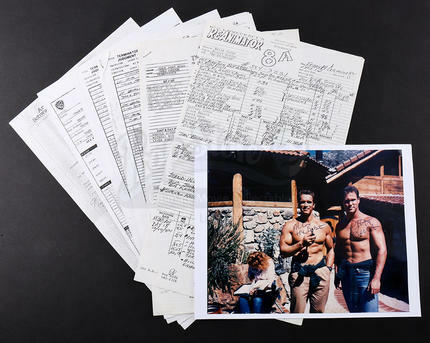 Best known as Arnold Schwarzenegger's stunt double in multiple films, these call sheets come from the production of multiple Schwarzenegger films. 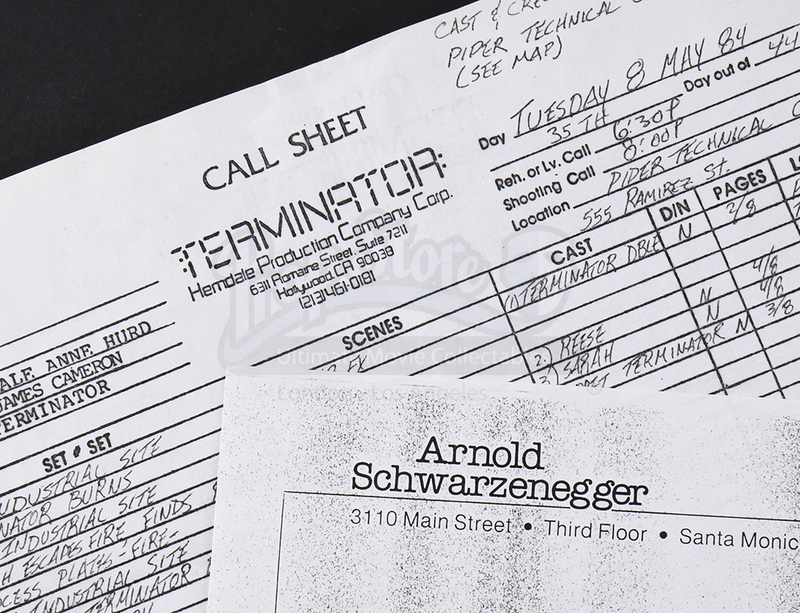 The set consists of one call sheet from The Terminator, three call sheets from the sequel Terminator 2: Judgement Day and one call sheet from Eraser and one call sheet from H.P. 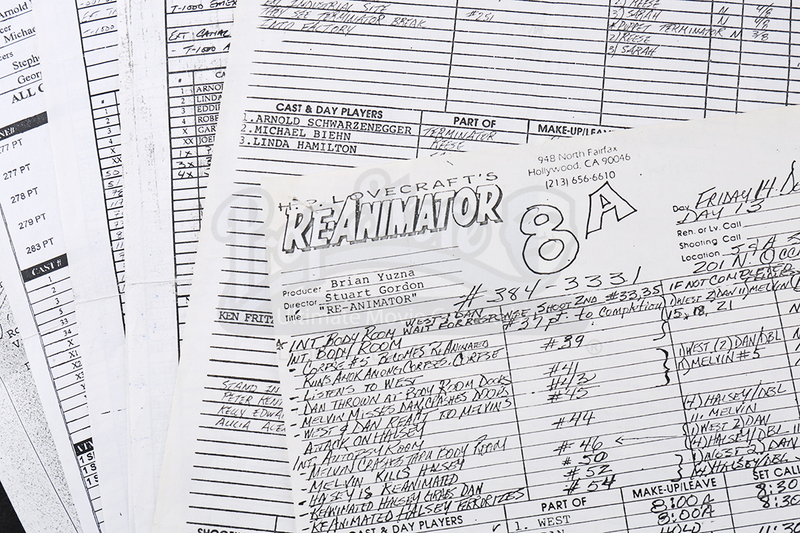 Lovecraft's Re-Animator. 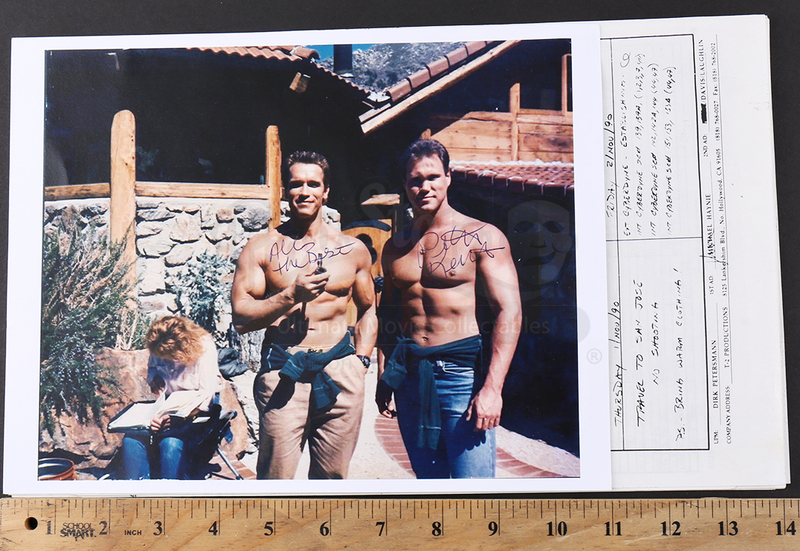 Also included is a printed page featuring a photograph of Schwarzenegger and Kent on the set of Commando as well as his autograph. 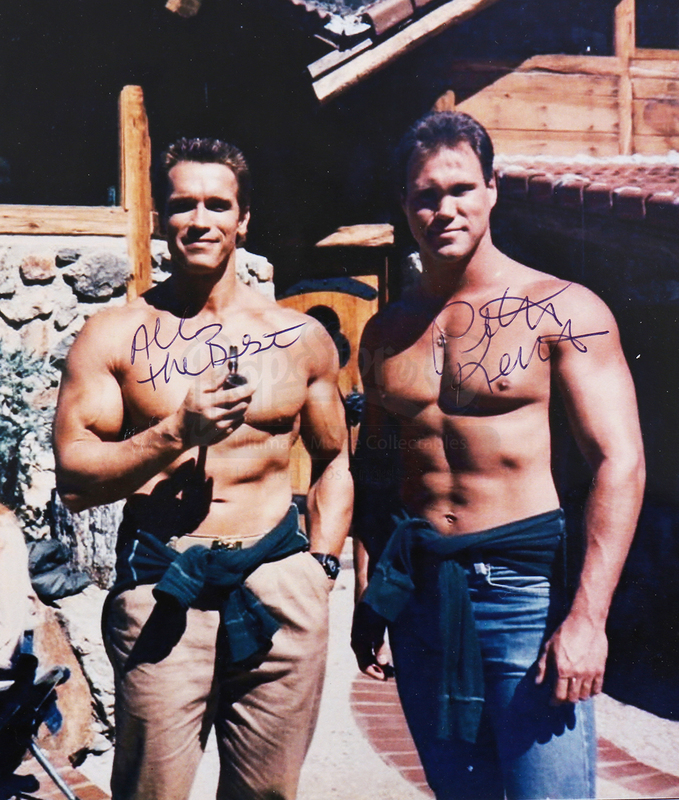 The set shows some signs of overall wear from production and age, but it remains in very good overall condition.